Part No. SEN-LVLIR01 In Stock Fedex orders placed now will ship on April 19th. 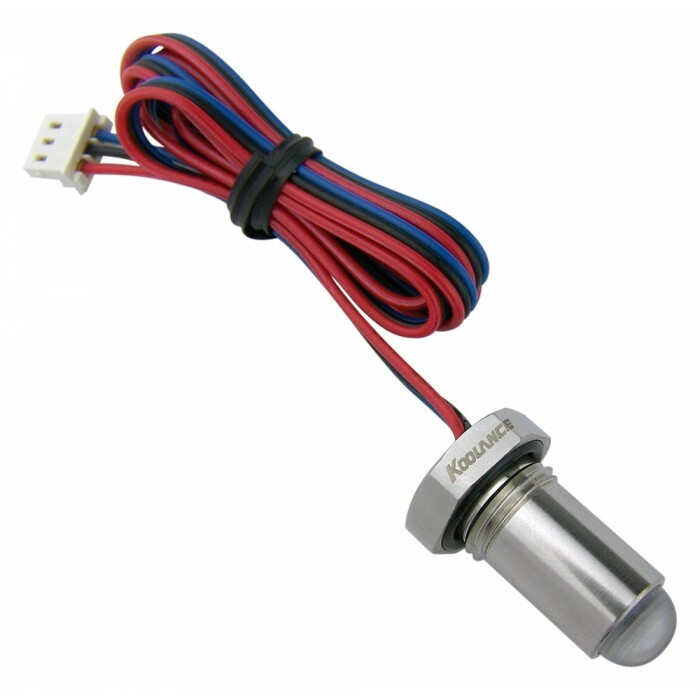 Koolance infrared liquid level sensor. Total length of sensor = 29mm (1.14in). Nickel plated brass, G 1/4 BSPP threading.